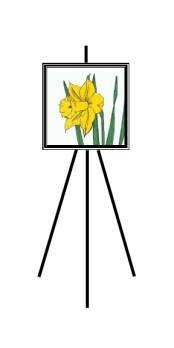 The Texas Daffodil Society Photography division celebrates the daffodil. Everyone is encouraged to participate! 1. Photography exhibitors must bring their entries to the show area 5:30PM-9 PM on Friday March 9, 2012, or Saturday, March 10, 2012, beginning at 7AM. Supplies will be available for you to mount your entries, if needed. All entries must be picked up at the close of the show, or by prior arrangement. Those not picked up will become the property of the Texas Daffodil Society and may be used in future displays and publications. There is no entry fee and exhibitors need not be members of the Texas Daffodil Society. 2. All entries must be the work of the exhibitor and must contain images of one or more daffodils as required by the class. 3. Classes are open to color or monochrome photographs and will be subdivided if needed. An Exhibitor may make up to two entries in each class. 4. Photographs should be mounted on light-weight stiff card stock or foam board. Conventional light-weight matting is acceptable but not necessary. Minimum print size is 5x7 inches and maximum mounted size is 16x20 inches. No glass or frames allowed. 5. An entry card must accompany each exhibit. On the face, the card must have the class number, name of class, title of the photograph (if any) and name of the daffodil(s) if known. For class P-3, include the general area where the flowers were photographed. On the folded tab print exhibitor’s name and address. 6. If warranted by the quality or quantity of entries, classes may be further subdivided. First, Second, Third and Honorable Mention awards will be given as merited in each subdivision. for lost or damaged photographs.